They say that if you take three witnesses of a car accident and interview them, each one will have a completely different vision of the incident, a different reality for what they saw. When I am not photographing the family experience I love to show the world how it looks through my eyes. Whether a street scene, a landscape, wildlife or abstract, we all have a unique vision. 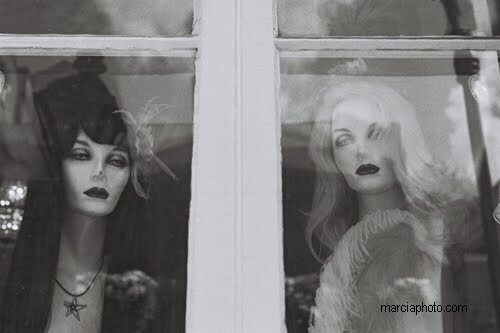 This street scene was taken in New Orleans, a city known for spirits :) Beautiful ghosts or just mannequins in a storefront...you decide. I only know that it intrigued me enough to photograph it and share it with you. Want to see more of my fine art images? Go to: Fine Art America.